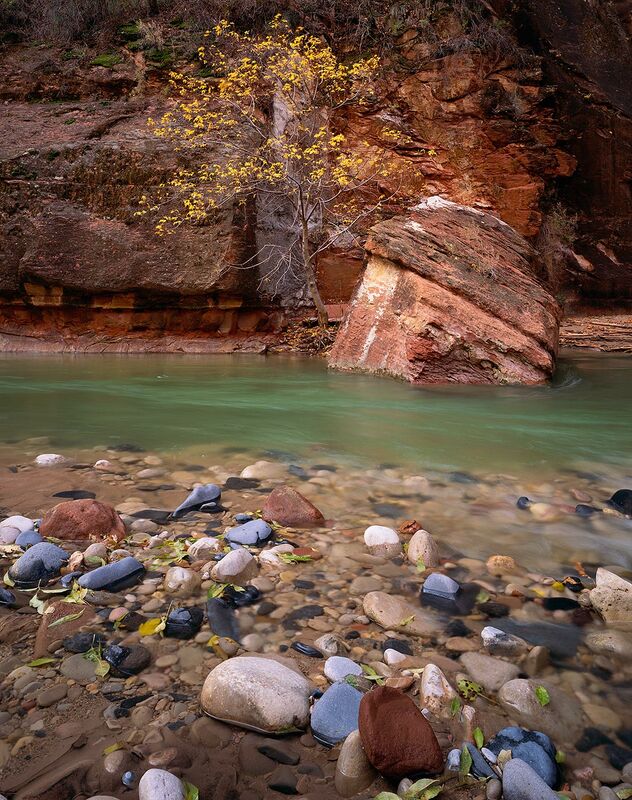 I was drawn to the melody of water across the cobbles, the harmony of blue-green water, pink cliffs, and yellow leaves of this box elder growing in the Virgin River narrows. The river reminded me of change and renewel. A few weeks earlier I had been attracted to this same tree, although the leaves were green, and the water a muddy yellow from a recent flood, which had prevented me from hiking much farther.